Sometimes the lure of being a domestic goddess is just too much to ignore. That kickass double chocolate babka on pinterest, or those super cute rainbow bagels you saw on Buzzfeed, they look doable. That is until you read the instructions, look at your watch and realise aint nobody got time for that, before pulling out a tube of ready made cookie dough from the back of the fridge and eating it raw. What if I can tell you there’s a way to fake it? 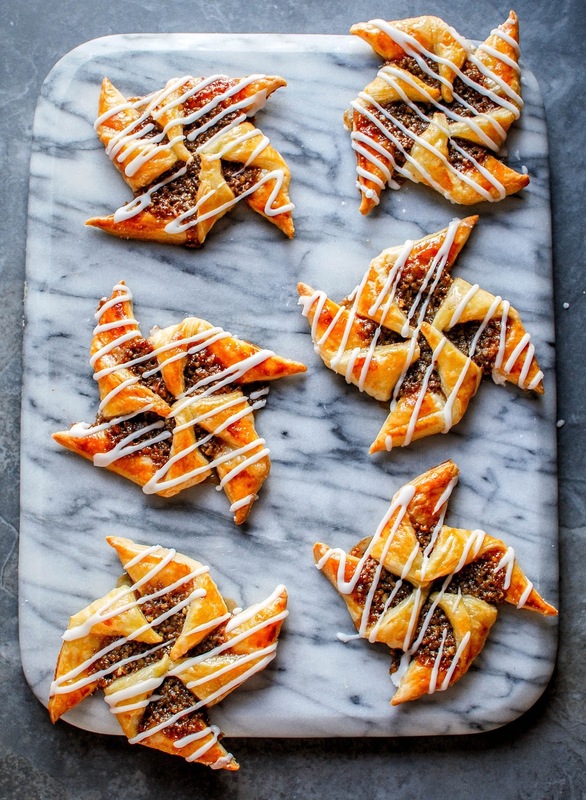 Like these maple pecan breakfast pinwheels, they look pretty complex right? Wrong! They are the easiest, tastiest morsels ever and you can totally pretend to be the ultimate domestic goddess, drowning in compliments while you gush about your handmade pastries. Nobody needs to know they only took you ten minutes to whip up with ingredients you probably already have on hand. I’ll always recommend you use all butter puff pastry for everything, it just tastes better, and even better if you buy it in ready rolled sheets. Lazy girls unite! There’s no end to the wonderful concoctions you can whip up with just a sheet of puff pastry and a few other ingredients. I’ve been in suffocating breakfast luxury for weeks. I’ll be sure to share some more of my creations with you guys soon. 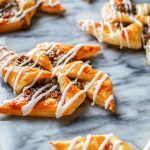 These maple pecan breakfast pinwheels are the easiest, tastiest morsels ever and you can totally pretend to be the ultimate domestic goddess, drowning in compliments while you gush about your handmade pastries. In a food processor pulse the pecans until finely chopped, you can also do this by hand just ensure the pieces are nice and fine. Pour the nuts into a bowl and mix with the maple syrup and melted butter, set aside while you prepare your pastry. Preheat the oven to 175C and line two baking trays with baking parchment. Unroll your chilled pastry and cut into six equal squares. Transfer your squares to the baking sheets, leaving room between each square. To shape the pinwheels cut a line from each corner of the square to almost the middle, leaving around a 3cm space uncut. 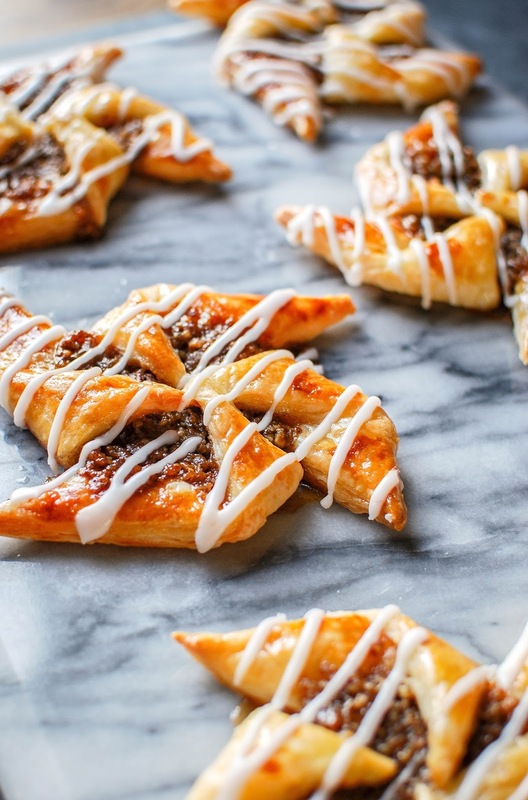 Put a tablespoon of the pecan mixture into the center of each square before folding alternate corners into the middle of the pastry and pressing down. Make sure you work quickly as the dough becomes harder to work with the warmer it gets, the best way to combat this is to keep one tray in the fridge while working on the other. Brush each pastry with the beaten egg and bake for 18-20 minutes until golden brown and crisp. Allow to cool slightly. While cooling make your glaze. In a small saucepan heat the apricot jam with 2tbsp of water until runny. Combine the icing sugar and water until smooth and transfer to a piping bag, snip the end to make a small hole. Brush each pastry with the sticky glaze before drizzling with the icing.